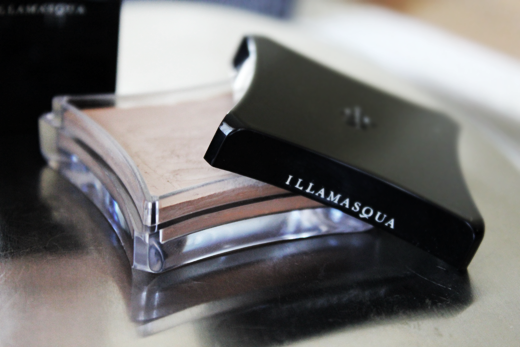 One of the products I've fallen completely in love with since my London visit three weeks ago (and have wanted to try since the product released 2 years ago) is the Illamasqua "HOLLOW" Cream Pigment. As it has that grey-ish, taupe-y colour, it is absolutely gorgeous as a contour on really fair skin and I'm very excited to get my hands on some of the other colours like Emerge (peach) and Delirium (medium rose taupe) that works as cream blushers. The product is said to be designed to work on the eyes, lips, face and body but unless it was for the runway I personally would prefer to use these on the face or body since I feel they sit a lot better without the chance to crease. 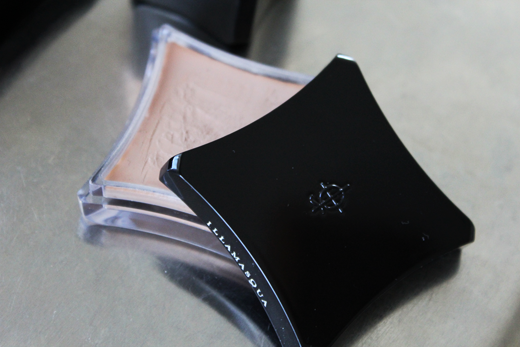 However, I find Hollow to work beautifully on the eyes with a primer underneath and an eyeshadow or loose powder on top. I do feel a little worried that they can dry out fast since the packaging is not as "tightly" sealed as you would expect with a cream product but only time can tell if this matters or not in this case. I'll be back with an update!